Och.. I’d been looking for a mascara that would perfectly define my eyelashes for a long time. 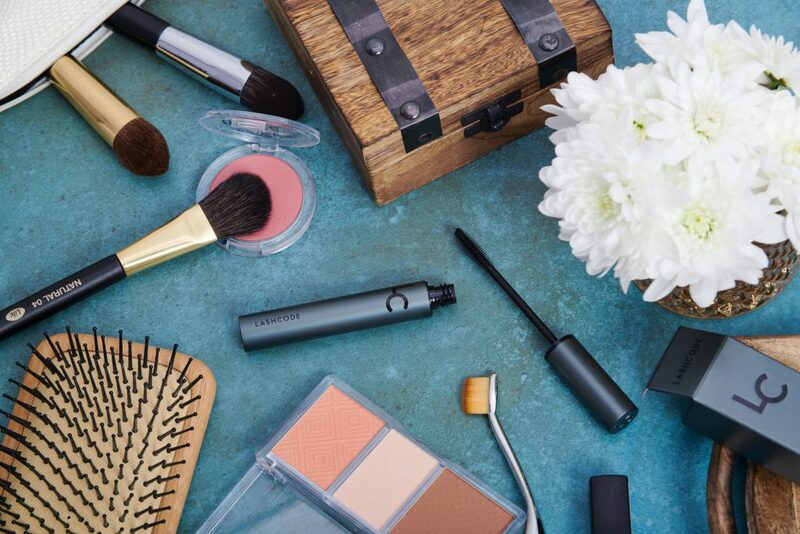 There’s something that mascaras and bags have in common – a wide offer yet finding an ideal seems impossible. Besides, every woman has preferences and I thought there was no mascara that could satisfy all women’s needs. I couldn’t be more wrong! Do you know Lashcode? It is a mascara that combines everything women desire in makeup. Fancy learning more? Read on! Lashcode mascara is long-wear yet easy to apply and wash off thanks to the powdery formula. Even waterproof mascara fans should like it because the product is flake-free and smudge-proof long hours. Although it isn’t waterproof, it has never let me down on rainy or hot days. I have an impression the intense black pigments blend with my lashes. That’s the very reason why the effect is extremely long-lasting and natural. Enjoying a perfect makeup with Lashcode is trouble-free because the mascara comes with a universal spiral that matches all eye and lash shapes. The wand is silicone and quite small so just the one I like most. The bristles are evenly arranged but have different lengths. That’s why I use the narrower tip of the wand to cover and define the shortest lashes in the eye corners. The middle of the applicator lets me quickly and flawlessly coat the longest eyelashes. The mascara’s biggest advantage? Probably thanks to the brush, Lashcode doesn’t leave lashes sticking together and effectively combs them instead. Lengthening and boosting volume in a natural way – without clumping or sticking – is the most important to me. 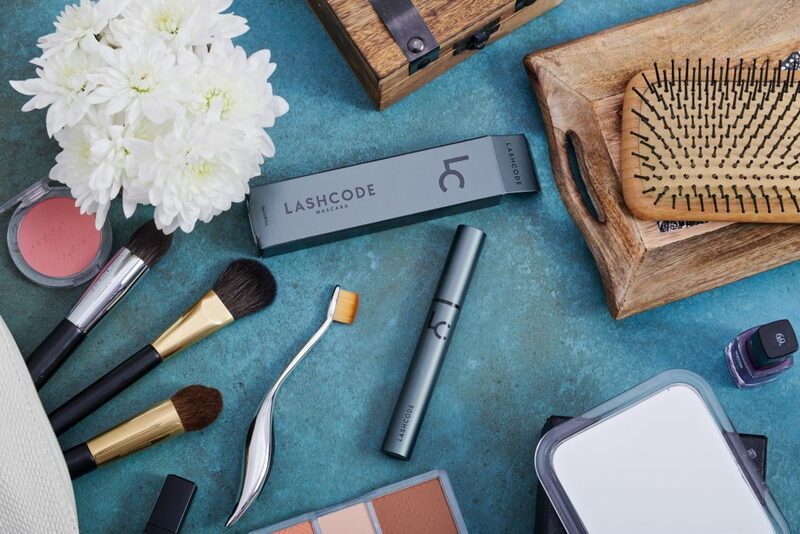 Lashcode mascara is a saver when I have little time for makeup application as it delivers an incredible eye definition with one layer. After coating my lashes with two layers, I can give up on eyelash extensions. At the same time, the mascara extends, thickens, curls eyelashes, defines them with intense blackness and ensures volume. Sounds amazing, doesn’t it? You must believe me or check great Lashcode makeup effects yourselves. There’s even more! It’s the first time I’m dealing with a mascara that doesn’t only beautify but also nourishes my eyelashes. Thanks to a set of plant extracts (Baikal Skullcap, Soy Sprout, Wheat Sprout), vitamins (panthenol, vitamin E) and nutrients (Arginine), Lashcode mascara strengthens lashes from within. That’s why they’re strong, healthy, resilient and shiny even after makeup removal. It won’t replace a concentrated and intensive eyelash serum yet it’s a stunning conditioning mascara. It’s very comforting that lashes are coated with mascara all day long yet they aren’t weighed down – the other way round: they are regularly nourished and moisturised. Lashcode keeps fresh for six months – twice as long as other mascaras. I’ve been using it for two months and it still has the same properties (like after opening), which makes Lashcode different from other mascaras that dry out and get useless after a few weeks. This mascara is easy to apply and delivers great benefits from the beginning to the end of its shelf life. Conclusion: investing in the quality and reliability of Lashcode mascara pays off! It’s definitely my number 1. The first such a mascara which curls and lifts my eyelashes up so perfectly. The brush is also rare. I’m an allergy suffer so the list of cosmetics which don’t irritate me is rather short. Luckily, Lashcode is on that list 🙂 Incredible mascara, gentle to eyes, featuring silicone and flexible brush which doesn’t irritate either. I also like that makeup removal lasts no longer than a moment even when the most delicate cosmetics (removers) used. Lashode didn’t irritate me either, which is a rarity in the case of coemstics that don’t mainly aim at allergy sufferers. I’ve heard that this is a perfect mascara to extend lashes and mine are long, yet theres not much of them. However, I let myself buy this product and I don’t regret doing this:) it added body and thickened and curled the lashes up. I didn’t use eyelash curler so I wasn’t even aware how such curled lashes could look on me. The wand reaches the entire eyelash line so it bolds even the shortest lashes the existance of which I didn’t know so it feels like i had more lashes. I’m 100% sure I’ll use only this mascara, although it’s far from being cheap. Are there other colors apart from black? For a very long time I had been using only hypnose by lancome until I discovered lashcode. In my opinion it separates lashes better and curls. At least it works this way on my lashes.